A paranormal website has now released ten films claiming to have historically found evidence that intelligent aliens arrived on Earth thousands of years ago. If true, claims made by Gaia.com online videos that several mummified aliens had been found in Nazca, Peru, would reshape world history and how we see the universe, according to one reseracher. But scientists have poured scorn on the claim and branded it an elaborate hoax. 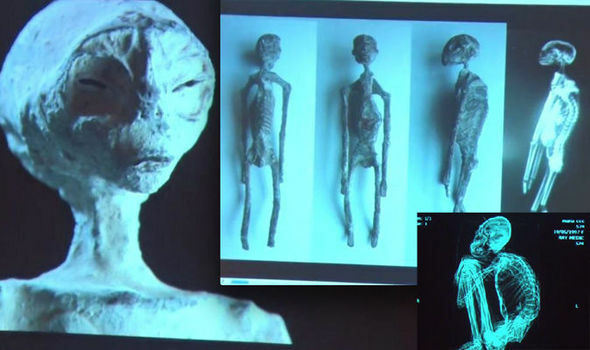 The Peruvian branch of the World Congress on Mummy Studies even called for a criminal probe amid claims genuine mummified human remains had been used to construct the aliens. Yet Gaia.com continues to release its slick documentaries which purport that a genuine scientific inquiry is underway. Viewers have now been shown the alleged tomb, where several mummified aliens were supposedly found, and seen claims that at least one “alien” had eggs inside it. So why would so much effort have gone into an elaborate hoax, and how did it all start? The story appears to have started in 2015. According to Paul Ronceros, who uses the name Krawix online, the first alleged discovery was made that year. The first objects to surface were a large, three fingered claw, a small head and a tiny body that resembled ET of 21cm in size. He did not name who found the mummified remains, or exactly where they were, but other reports have suggested it was local walkers or grave robbers who stumbled across the tomb on the southern coast of Peru. Mr Ronceros claims to have been given some of the remains in July 2016. French researcher and explorer, Thierry Jamin, of the institute, released the findings on his Facebook page on November 27, 2016. 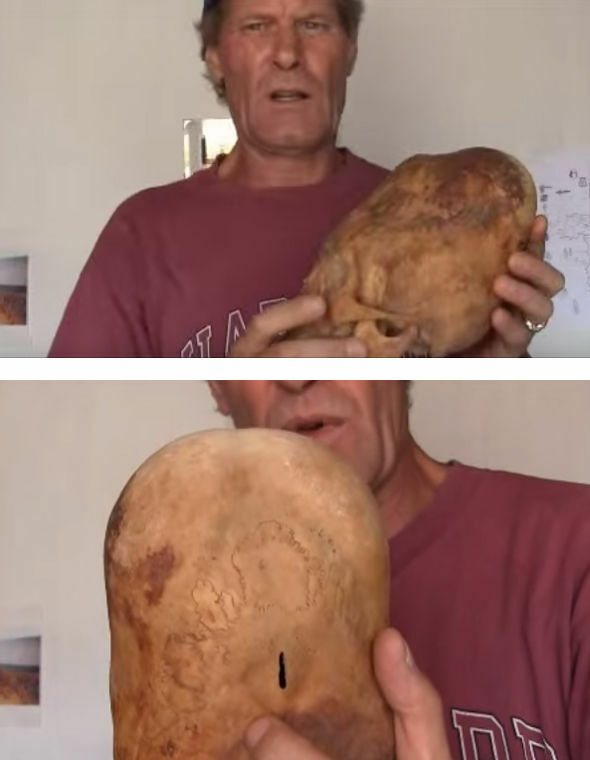 Express.co.uk reported on the discovery ten days earlier after author and pseudo scientist Brian Foerster, who runs Hidden Inca Tours, featured a video on YouTube and his website, claiming he intends having tests carried out on the finds. He said in the video: “I don’t know what to say and look forward to the possibility of seeing more specimens. Brien Foerster with a Paracas skull. “The head appears to be made of bone with skin over the top. It has two eyes, but eyes it is nothing like a human, it is more amphibian or reptilian. “The mouth seems to be so tiny that it does not even appear to be for feeding. He talked of the items being found by a caretaker. Mr Foerster ‘s involvement- he has come under much scrutiny from sceptics in the past – added to widespread beliefs it was an elaborate hoax, with human and animal bones and skin used to make the creations. He was involved in DNA tests, which allegedly confirmed the 3,000-year old Paracas elongated skulls did not have human DNA. But, he has been reluctant to release details of who carried out the tests. Earlier in 2016, Mr Foerster claimed to have found an unusual winged small humanoid corpse in a specimen jar in an office in Mexico.